In the weekly schedule of meals through much of the 19th and 20th centuries, Sunday dinner was the peak in terms of the costliness of the food and the elaborateness of preparation. By the 1890s and early 20th century it became clear that more people were choosing to have Sunday dinner in a restaurant, a trend that appears to have begun in the Western U.S. Earlier in the 19th century most Sunday restaurant goers were travelers staying in hotels or denizens of boarding houses that did not provide meals on Sundays. Otherwise, Sunday was not a busy day for eating places as far as is known. In 1853 Putnam’s magazine reported that although many New Yorkers patronized restaurants during the week, on Sunday they did not. So the fact that people in full-service households began to eat Sunday dinner in a restaurant was a big change considering that it was largely regarded as a home-based meal often celebrated in the style of holiday meals today. 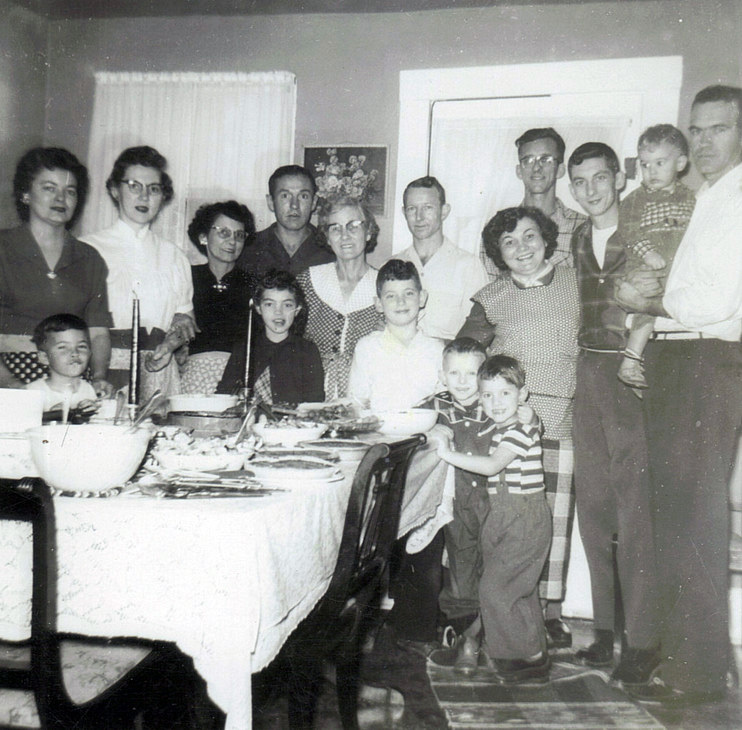 Sunday dinner in the home was enough of a big deal that small town newspapers in the early 20th century were in the habit of reporting the names of guests who had been invited to the Smith’s or Wilson’s, etc. The acceptability of Sunday meals in restaurants went hand in hand with restaurants becoming respectable to mainstream Americans, especially temperance advocates. Traditionally most eating places were also drinking places. In the 1870s some cities and towns went so far as to shut down restaurants on Sundays to stop drinking on what was generally regarded as a holy day. Philadelphia’s “Sunday Laws” closed saloons, but also restaurants, ice cream gardens, and confectionery stores. People who lived in rented rooms in New Hampshire had no place at all to eat after restaurants were ordered to close on Sundays. Although the West was generally more tolerant of drinking, Tacoma WA closed restaurants on Sundays in 1891, leaving hotels as the only eating places open for business. A more common prohibition strategy in the early 20th century was to allow restaurants to remain open on Sunday but to make it illegal for them to sell alcohol that day. Another tactic had been tried, that of closing saloons on Sundays and only allowing drinks to be sold at places selling meals, but it didn’t take long before saloons began claiming restaurant status. NYC’s experiment with permitting only hotels to sell alcoholic drinks resulted in restaurants adding bedrooms on their upper floors, often devoted to illicit trade. In Washington DC, where the sale of alcohol was illegal on Sundays in 1905, restaurants that had bars and wanted to serve meals on that day were allowed to stay open if they completely enclosed their bar with wooden partitions running from floor to ceiling. 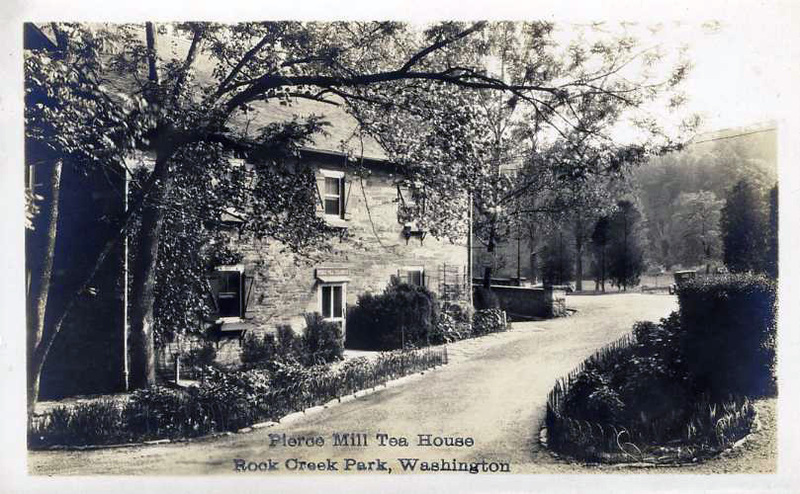 Tea rooms were at the forefront of the home-like restaurant trend. They specialized in what had become the most popular of Sunday repasts, the chicken dinner. 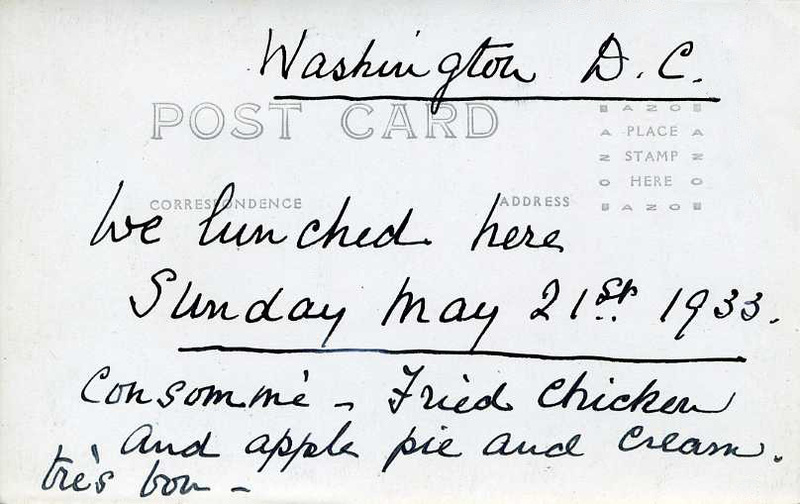 As Americans acquired cars, drives into the countryside with a stop at a tea room, inn, or restaurant for a Sunday chicken dinner became irresistible to city dwellers. By World War I it was old-fashioned to eat dinner in the middle of the day, with the custom living on mostly in rural areas. But, as is true of holidays now, Sunday remained an exception for many people. Even into the 1970s many restaurants that specialized in Sunday dinner offered it both around noon and in the evening. It even became fashionable to eat in a restaurant or hotel dining room on Sunday evening, as a 1920 headline in a Milwaukee paper attested: “Dine Out on Sunday. Once Famous Repast is Delegated to Restaurants.” The story reported that it was the biggest night in the week for restaurants there. In a sense Sunday brunch, whose popularity grew in the 1960s, replaced mid-day Sunday dinners offered by restaurants. Another blow against Sunday dinners in restaurants came when Christian religionists took a stand against restaurant-going on Sundays, seeing it as a violation of the Sabbath. The status of Sunday dinners in restaurants today is unclear. Very interesting. In France, eating out for lunch on Sundays is very common, but extremely unusual to to go out for dinner time. I suspect there might continue to be a positive correlation between church attendance and Sunday dinner at a restaurant. Do you do Sunday dinner? You should! It’s fun. We do Sunday breakfast instead. My parents weren’t super religious but it never even occurred to them to do Sunday dinner out. It was always at home and important. 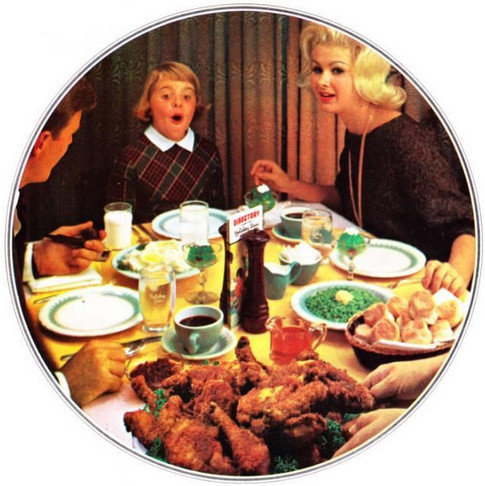 We loved it–especially when my mother cooked fried chicken. I try to keep the tradition alive with my kids.